Rita Lorraine Boards, 63, of Glasgow, KY passed away Saturday, April 13, 2019 at T.J. Samson Hospital in Glasgow, KY. The Bowling Green, KY native was a former employee of General Electric and Marsh's 5 & 10 and a Jehovah's Witness. She was a daughter of the late William Hudson Boards and Annie Belle Carpenter Boards. 5 nephews and 10 nieces and a slew of great nieces and great nephews. 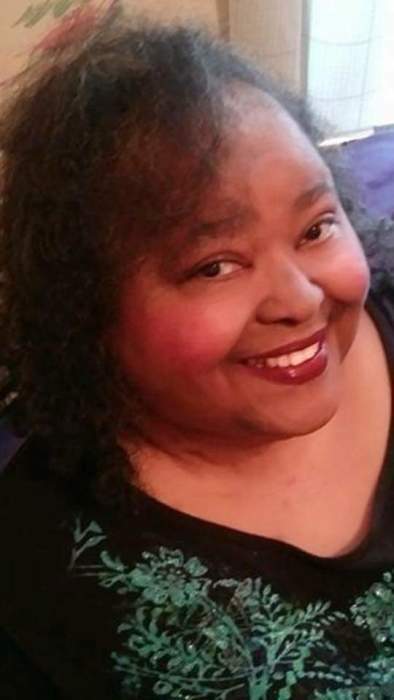 She was preceded in death by 4 sisters: Lisa Boards, Lena Boards, Greta Boards and Wanda Boards; 1 brother: Virgle Boards;1 great niece: Bella Hooten and 1 aunt: Lucille Rhodes..
Memorial services will be 1:00 P.M. Wednesday, April 24, at Goad Funeral Home with Bro. David Sewell officiating and burial in Caney Fork Cemetery. Visitation will be after 12:00 Noon Wednesday at Goad Funeral Home. There's still time to send flowers to the Visitation at the Goad Funeral Home from 12:00 PM to 1:00 PM on April 24, 2019.